Emotional Intelligence is a measure of our ability to ‘connect’ with others. The work of Goleman among others shows very clearly that our self-awareness, ability to observe and recognise emotions in others, and consequently make choices about the way we interact is fundamental to our success in life. Those with the ability to do this are typically more successful in their role (whether in dentistry or elsewhere). The good news is that emotional intelligence can be learnt. You can learn self-awareness by slowing down to observe those around you and considering how best to connect with them. Everyone is unique and learning how to treat others, as they want to be treated, rather than the same as everybody else, is a magical experience and one that can be learnt simply and easily. Tip for you in your role: Think about how you connect with each individual patient, no matter who they are. What can you do to build empathy with them, in their world? They will not necessarily see things the way you do. Think constantly about their needs. Many people will not feel totally at ease in your dental office. Emotionally intelligent behaviour can work wonders in reducing dental anxiety. Take time to understand where your patients are coming from – sincerely engaging them and demonstrating an understanding, so that when you do communicate, they feel at ease and are more likely to listen. Listen to your patients; for sure they will tell you about their emotions. Building this emotional bridge will make it easier to discuss your treatment and prevention recommendations openly with them. Empathy can also work magic in terms of improving your patients’ ‘compliance’ with treatment recommendations. 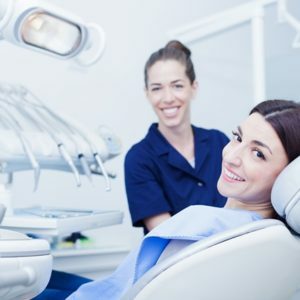 Dental professionals who provide only factual explanations of oral hygiene risk failing to improve their patients’ self-care; you need to tap into the emotional side of people, in order to change their behaviour. 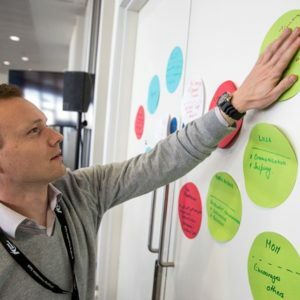 Colgate recently worked with Alex, an inspiring personal development facilitator and coach, to develop a model on how leadership skills can be applied in the dental office.